"Even though I think it might be extreme to quit your job to start dating, I don't think you can ever just sit back and let love just find you. Love isn't that clever. Love isn't actually all that concerned about you. I think love is out there finding people whose lights are burning so brightly that you could actually see them from the space shuttle." An advert of the How To Be Single movie on red busses has been passing me all over the London for more than a month, and since I am single for, well, a few years now, I've surely become interested. Because even though every single person proudly declares she or he is very happy single, the truth is very different most of the time. Believe me, I really do know what I am talking about. Although I wish I would not. Actually, I wasn't expecting anything special and I only bought this book because of the fact that the author of it partly wrote He's Just Not That Into You, which is an absolutely hilarious book and movie. Definitely check it out if you haven't already. Because it's really awesome and it always make me laugh out loud even though the matter of dating is very pathetic sometimes. But that's the life so what else than laughing can you do? Nevertheless, it surprised me how great this book was. Liz Tuccillo really does know what single women go through. She understands them and can describe their feelings very precisely. I was stuck with this book in my bed in the late night when I was supposed to be asleep and I couldn't put it down. It was like everything Liz Tuccillo said I felt equally. She didn't really pussyfoot around but was very frank about everything which I truly liked. But what I loved the best about this book was that Liz Tuccillo made it funny. She definitely took the matter of being single seriously but still she would make fun of it in the right parts and I found it engaging. 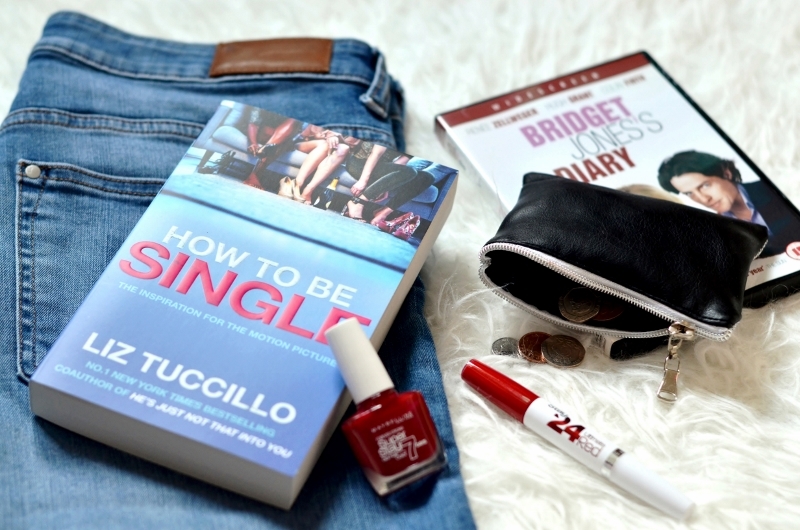 How To Be Single undoubtedly is the best chick-lit novel I've read since Bridget Jones's Diary. And I'm telling you you're gonna love this book, too. opet nadherne fotky. Hlavne kvuli tem sem obcas zaskocim a kdyz uz jsem tu, tak prelouskam i tve prispevky a zjistim, ze mi neco v hlave zustalo.